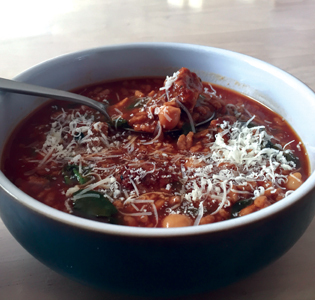 Soft baby spinach comes together with hearty meatballs and chickpeas to bring a taste of comfort food to your Zone bowl. Bring the vegetable stock, tomato sauce, and garlic powder to a boil in a 2-3 quart saucepan. 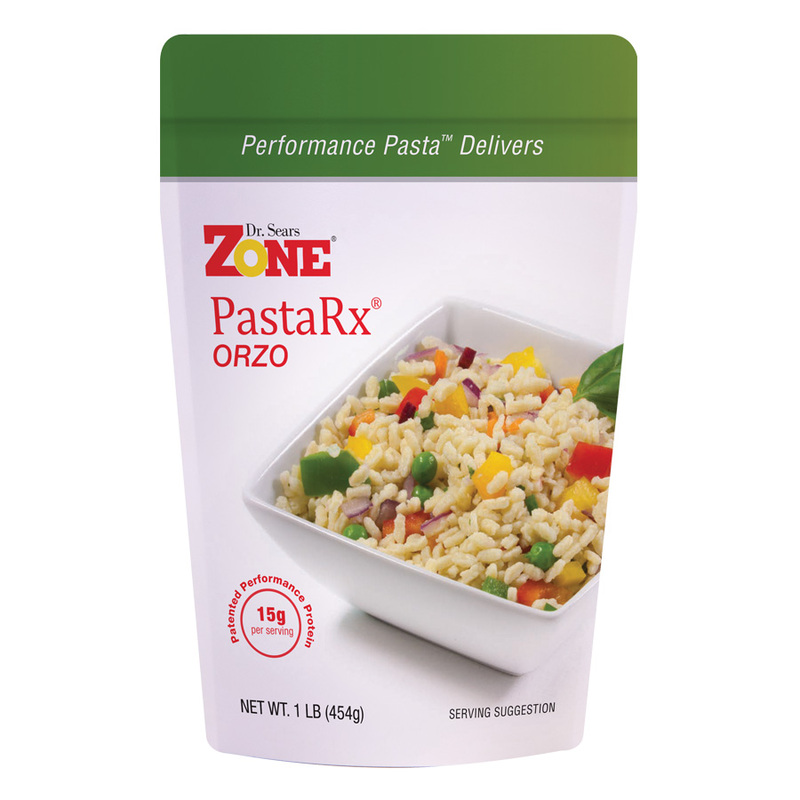 Add Zone PastaRx Orzo, cover and reduce heat, simmer for 14 minutes. Stir in chickpeas, red pepper flakes, baby spinach, and chicken meatballs. Continue to cook for 2-3 minutes. Ladle into two bowls and top each with 1 teaspoon of extra virgin olive oil and 1/2 tablespoon of pecorino cheese.